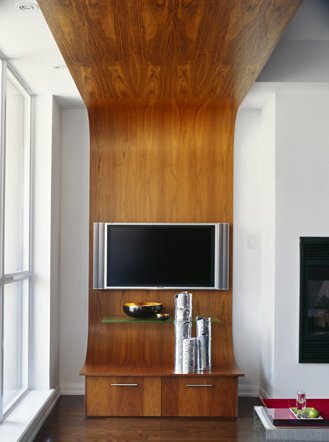 This custom entertainment unit from the Toronto based TAS DesignBuild caught our eye. A lot of people these days are scratching their heads trying to figure out attractive ways to mount and display their new plasma or LCD TVs, because many of the entertainment units out there are still designed for older TVs, and just don’t make sense with the new thin flat-screens. Of course, a custom design like this is always the preferred solution. Visit the TAS DesignBuild website ? here.